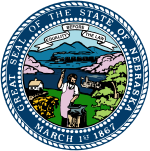 A general election will be held in the U.S. state of Nebraska on November 6, 2018. All of Nebraska's executive officers will be up for election as well as a United States Senate seat, and all of Nebraska's three seats in the United States House of Representatives. Incumbent Republican attorney general Doug Peterson is running for re-election to a second term. Omaha Attorney Evangelos Argyrakis, Democrat, is running. Incumbent Republican Secretary of State John Gale, who was appointed to the position in December 2000, has announced he will not run for re-election. Incumbent Republican Nebraska State Treasurer Don Stenberg is term-limited and is not eligible to run for re-election to a third term. State Senator John Murante is running for the Republican nomination. Other potential Republican candidates include 2017 Omaha Mayoral candidate Taylor Royal. Incumbent Republican Auditor of Public Accounts of Nebraska Charlie Janssen is running for re-election to a second term. Nebraska Public Service Commission District 1 incumbent Republican Frank Landis, who was first elected in 1988, has not announced whether he will run for re-election to a sixth term. Nebraska Public Service Commission District 3 incumbent Republican Tim Schram, who was first elected in 2006, is running for re-election to a third term. Nebraska's state legislature is unique among American states in that it is unicameral, meaning that it is only one chamber. Consisting of 49 legislative districts, the Nebraska State Legislature has 24 seats up for election in 2018. Incumbent Republican senator Deb Fischer is running for re-election to a second term. Democrat Jane Raybould will challenge her for the seat. All of Nebraska's three seats in the United States House of Representatives will be up for election in 2018. In District 2, Republican Incumbent Don Bacon has announced he will run for re-election. Democrat Kara Eastman defeated Brad Ashford, who held the seat prior to losing to Bacon in 2016, and will challenge Bacon in the general election. ^ Walton, Don (April 21, 2016). "Ricketts ties conservative goals to two terms". Lincoln Journal Star. Retrieved July 7, 2016. ^ Young, JoAnne. "Omaha Sen. Bob Krist announces his independent run for governor". Retrieved 18 March 2018. ^ Duggan, Joe (August 30, 2017). "Nebraska Attorney General Doug Peterson announces run for re-election in 2018". Omaha World-Herald. Retrieved September 1, 2017. ^ Hammel, Paul (March 21, 2017). "Longtime Nebraska Secretary of State John Gale won't run for re-election". Omaha World-Herald. Retrieved March 22, 2017. ^ Duggan, Joe (April 18, 2017). "Lincoln attorney Bob Evnen to run for Nebraska secretary of state, says he'd push for voter ID law". Omaha World-Herald. Retrieved July 1, 2017. ^ a b c Walton, Don (March 20, 2017). "Senators may seek to succeed John Gale". Lincoln Journal Star. Retrieved March 22, 2017. ^ a b c d e f Schulte, Grant (March 20, 2017). "Nebraska Secretary of State Gale Will Not Seek Re-Election". U.S. News & World Report. Retrieved March 22, 2017. ^ a b Walton, Don (July 24, 2017). "Murante will seek state treasurer post". Lincoln Journal Star. Retrieved September 1, 2017. ^ "Democrat Spencer Danner running for Nebraska Secretary of State". 8 February 2018. Retrieved 18 March 2018. ^ Hammel, Paul (May 23, 2017). "Taylor Royal's website says he's running for state treasurer, but he says it's not official yet". Omaha World-Herald. Retrieved July 1, 2017. ^ Duggan, Joe (June 28, 2017). "Nebraska State Auditor Charlie Janssen plans to run for re-election in 2018". Omaha World-Herald. Retrieved July 1, 2017. ^ Hammel, Paul (June 23, 2017). "Nebraska Public Service Commissioner Tim Schram running for re-election". Omaha World-Herald. Retrieved September 1, 2017. ^ Klecker, Mara (June 24, 2017). "Deb Fischer announces re-election plans, says national security, transportation will be priorities". Omaha World-Herald. Retrieved July 1, 2017. ^ Morling, Roseanne. "Jane Raybould, a Democrat from Lincoln, will challenge U.S. Sen. Deb Fischer in 2018". Omaha World Herald. ^ "Nebraska's 2nd Congressional District election, 2018 - Ballotpedia". Retrieved 18 March 2018.